An essay by Tim Sandle. The Ebola virus epidemic has been making headlines around the world both in relation to the rising death toll amongst hundreds of people from four African countries and a handful of international aid workers who have contracted the disease. Behind these headlines, and associated reports of medical 'wonder-cures', there a legacy of post-colonial under investment and interference from Western governments; whereas, the post-crisis situation could lead to weakened countries at enhanced risk of multinational exploitation. This article briefly considers the Ebola viral disease and the extent of its destruction before considering how post-colonial actions have helped create weak healthcare systems and an infrastructure unable to cope with the unfolding crisis. While the article only provides some underdeveloped ideas for building an alternative way forwards, the text highlights areas where economists and scientists can provide analysis that could be of help to those seeking to build alternative political movements within the affected states. 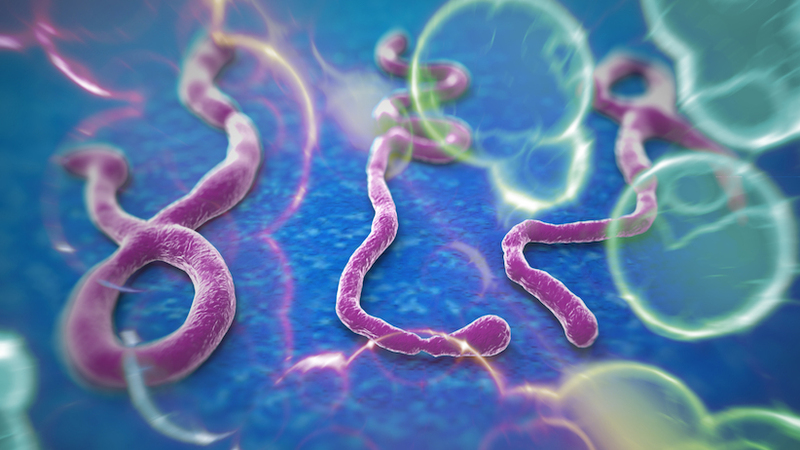 Ebola virus disease (EVD) or Ebola hemorrhagic fever (EHF) (henceforth "Ebola") describes the human disease which is caused by any of four of five known Ebola viruses. The name of this grouping comes from Ebola River in Republic of the Congo, near to where the first case of the virus was detected in 1976. Ironically this is the British name for the river, and thus a somewhat a chilling reminder of the lasting legacy of colonial rule. Ebola is an unpleasant disease. After an incubation time that can stretch to twenty-one days, one of the common signs of the disease is bleeding from mucous membranes and puncture sites. If the infected person does not recover, death due to multiple organ dysfunction syndrome occurs (1). Unlike many other of the major global diseases there is no vaccine, no accepted treatment and the disease can be up to 90% fatal, although this present strain seems to be fatal in around 60% of those patients who exhibit symptoms. New Scientist of 9 August quoted the mortality rates as 74% in Guinea, 54% in Liberia and 42% in Sierra Leone. With no actual treatment, survival mainly seems to be a function of the quality of medical and nursing care of the symptoms, mainly of fluid and electrolyte replacement. The huge problem is that without rigorous precautions, it is precisely those providing the care who are most at risk of infection themselves. This only goes to show the heroism of the ordinary health workers of the West African nations, and some western volunteers, who are to be seen in protective gowns, masks and goggles, trying their level best to contain the virus. Reuters described a nurse in Sierra Leone, working for hours at a stretch in full protective gear in tropical heat, as she and others worked to raise the odds in favour of her patients’ survival. Sadly, she had to give a false name, such is the fear generated by the virus. There have been reports from Liberia of landlords refusing to rent to nurses. Yet without the efforts of these workers, and of the charity Medecins Sans Frontieres, the virus would already have spread far and wide. The epidemic has ravaged the west African region since it erupted in the forests in the south of Guinea early in 2014, killing almost 1,500 people and infecting thousands more. The virus is deeply entrenched in Guinea, Liberia, Nigeria and Sierra Leone. Of these states, the worst hit is Liberia where Ebola has seemingly stretched into every corner. Deaths in Liberia account for around one third of the total. 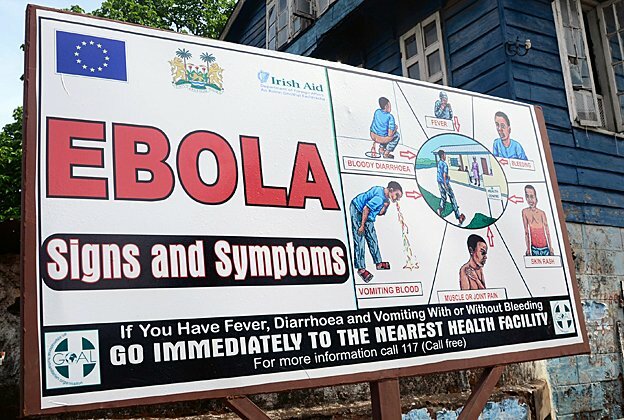 The ongoing Ebola outbreak in West Africa is so serious that the World Health Organization (WHO) has declared the situation a "Public Health Emergency of International Concern" (PHEIC) (2). This is only the third time that such a status has been activated. The main focus in the mainstream media has been upon expensive potential pharmaceutical treatments, such as ZMapp, or upon more desperate sounding convalescent serum treatments. With drugs like ZMapp, even if they work on a large scale there is little chance of the medications being mass produced in time to deal with the current outbreak, even assuming that the African states or the people affected could afford them - which they cannot (3). The alternative treatment using convalescent serum -that is serum obtained from one who has recovered from an infectious disease and considered to be especially rich in antibodies against the infectious agent of the disease - was last tried in 1995 in an Ebola outbreak in Kikwit in the Democratic Republic of the Congo (4). However, the medical evidence pertaining to the success of this type of treatment is contested between scientists. Ebola is a zoonotic disease. Exactly how the virus transferred to the human populace is linked to bats being the vector (5). This long-established fact that has led to some western-centric cultural critics deriding Africans for continuing to eat fruits bats whilst ignoring the evidence that this is not the primary cause for the viral spread (see, for example, The Guardian - "Ebola risk unheeded as Guinea's villagers keep on eating fruit bats" (6)). How viral diseases evolve, whilst of interest, is not the subject here. What is important for scientists to appreciate is how economic conditions can create conditions that allow a virus like Ebola to spread and how prevailing conditions affect the robustness of states to respond to such crises. That economic conditions have a causative role in the spread and response to the current epidemic has been featured in two recent reports. The first report, from Business Monitor, suggests that efforts to contain the outbreak have been hampered by weak state capacity, lack of public funding and poor health infrastructure (7). In essence, all affected countries do not possess the requisite state resources and capacity to adequately manage the outbreak. Although the report draws its arguments from a free-market perspective, the analysis describes institutional weakness, widespread corruption and weak government finances and capacity to act as factors that are constraining the ability of governments and foreign aid agencies to respond effectively to the situation. Moreover, a limited government ability to take command in rural areas, where the majority of cases originate, is further impeding efforts to slowdown the spread of the disease. An economic analysis may well identify similar factors, although the prescription measures would be very different. The decades of under-investment in the health systems of West African states is also covered in a report issued by the medical charity, The Wellcome Trust. The Trust has announced that it is donating a multimillion pound sum to help establish a non-governmental organization called "Enhancing Learning and Research for Humanitarian Assistance" (ELRHA). The primary purpose of ELRHA is to build a research community. The Trust argues that because of decades of under investment in medical research the affected countries do not have a viable scientific research community capable of developing home-grown potential drug treatments to Ebola and other diseases (8). The poorly-conceived health systems and weak scientific culture are a consequence of the colonial legacy and trajectory of post-colonial development. Intermixed with some early flawed periods of state socialism; and followed by dictatorships, political corruption and military coups; and ending with fragile capitalist democracies, the post-colonial years have ended with West African nations seeing Western governments and global monetary institutions impose an onerous debt regime. This has forced these countries to pay more in interest on debts to the World Bank and International Monetary Fund (IMF) than they spend on healthcare, education, or infrastructure (9). Furthermore, much aid has been in the form of Structural Adjustment Programmes (SAP), orientated towards projects that have not often been for the good of the populations; and where projects, both good or bad, have carried with them the price of debt servicing burdens and tie-ins into regressive international trade. The effect of structural reforms on healthcare has led to a lack of primary care, few healthcare campaigns aimed at health protection or health promotion, systems that do not extend into the more economically deprived areas, and the chilling hold of private corporations. In Guinea, for example, the Bamako Initiative of 1987 led to a shift towards a fee-paying healthcare system leading to many treatments being beyond the reach of ordinary citizens. The Bamako Initiative was drawn up in collaboration with the World Bank and led to the decentralisation of healthcare across Benin, Guinea and Nigeria (10). The decentralised system has arguably hindered the ability to formulate an effective national plan against Ebola. In Sierra Leone free healthcare only extends to pregnant and breast-feeding women and children under five (11). Other health statistics indicate why the West African states have struggled to contain the Ebola. Guinea spends only $62 per person on health each year, compared with $3,364 in the U.K. Guinea has the lowest number of hospital beds per capita in the world. Sierra Leone has just two doctors per 100,000 people, compared with 245 in the U.S. Nigeria too has experienced a lack of medical personnel. It is estimated that as many Nigerian doctors are practising in the U.S. alone as there are working in the whole Nigerian public service (12). Furthermore, post-colonial economic management by West African governments in thrall of western capital has led to decentralised health systems and collaborations with private multinationals. These reforms have further hindered the ability of the governments to respond effectively to the crisis. Moreover, the countries contain internal divisions and competing power blocks; without intending to oversimplify, the separations of language, religion, and ethnic groups have been exacerbated by post-colonial policies that have widened economic inequality and orientated healthcare towards the cities and away from the countryside. It is in the poorest regions, outside of the cities, where Ebola is most concentrated. There is also a legacy of mistrust against health workers from the West. When much of the continent was under colonial rule, colonial powers used African outposts as their laboratories, and Africans as their test subjects. This accounts for a level of fear and suspicion, and an appreciation of this is important for the voluntary workers engaged in the affected countries. The extent that the populations feel helped or exploited at the end of the crisis will help modify whether this suspicion of the outsider is enhanced or attenuated. It could be taken from some reported news stories that money is flooding into West Africa as a result of the Ebola epidemic. While some funding has been sent through, the level of support and aid going into the west African nations is not as great as the global media implies. With the WHO, for example, the United Nations body's budget for outbreaks and crises has declined by 35% since 2010. In July 2014, WHO estimated that $103 million was needed to continue the fight against Ebola. Nevertheless, the Agency only has a fifth of that available and it faces a gap of $79 million. Moreover, a decline in aid and support in the years leading up to the current Ebola epidemic have arguably laid down some of the foundations for sluggish ability of the African governments to respond. Whilst a number of aid agencies have sent out health workers and charities have transferred donations, the levels of money provided by the governments of the West and the major global institutions fall far short of what is needed. Again the veneer of rhetoric needs to be stripped away. The World Bank has stated that it will devote up to $200 million to fight Ebola; however, most of this will be drawn from funds already allocated to the affected countries. It also stands that this aid comes with a string of policies that must be applied (continuing with the SAP initiatives, as discussed above). The economic impact of Ebola on the affected states is considerable. With the internal economy, a combination of cases of infection and a fear of the virus appear to have had an equivalent impact to that of an environmental disaster. Crops rot in the fields, mines are abandoned and goods cannot get to market. In quarantined zones in Sierra Leone and Liberia, key cash crops such as cocoa and coffee have been left rotting in the fields as farmers fear to stray far from home. Agricultural issues are not only confined to exports. In township markets, supplies of staple commodities such as rice are already dwindling, with only the bravest traders willing to venture far afield to buy stocks. Rather than address the fall-out, several of the actions of the African governments have been directed to appeasing international capital management. This is the basis of a charge made by Amadou Soumah, a trade union official in Guinea. It was only during mid-August that Guinea declared Ebola to be a national emergency. This is despite the country being at the epicentre of the outbreak, with the first cases reported in March 2014. Soumah argues that the government played down the crisis "to stop investors fleeing" (13). Despite of the attempts by some African government to micro-manage the crisis, the economic response from the multinational firms has been to protect their interests. Several multinational companies have suspended operations. For example, Steel giant ArcelorMittal, headquartered in Luxembourg, has halted work at its iron ore works in Liberia and has withdrawn its executives. Having exploited the region for decades, the company seems to have no inclination to offer economic support. To take a different example, several international airlines have halted their flights to West Africa. These reactions are likely to have a long-lasting impact on the national economies, a point noted recently by the president of the African Development Bank, Donald Kaberuka (14). In other cases, the multinationals are staying put. There are no signs that the epidemic has affected the economically vital oil industry, mainly because the African governments and multinationals are working hard together to ensure continuity. Taking Nigeria, where the multinational oil companies have for many years collaborated with the government to exploit a region in southern Niger Delta that lies about 600 miles from Lagos. In this region, there have been as many cases of Ebola as they have been in areas where agricultural commodities predominate. However, with these oil rich areas the Nigerian government has provided support, in terms of supplies, resources, and it has erected barriers to create a quarantine zone, protecting the oil drilling activities of Royal Dutch Shell and Chevron Corporation from the main parts of the country. West Africa sits atop 15 percent of the world’s oil (15) and this is far too profitable an operation to be interrupted by illnesses afflicting the local populace. The crisis also carries with it the risk of further liberalisation of the economies of the affected countries and thus more opportunities for multinationals to move in once the crisis is over. The African Development Bank, which is locked into the global financial system, has provided loans and is proposing a greater injection of capital to West Africa. The problem is that these are tied loans in a similar way to money advanced by the World Bank. Here capital is orientated towards particular projects aimed at diversifying the economy and cementing damaging public-private partnerships. On the political front the crisis presents opportunities for governments to strengthen authoritarianism. For example, in the worst affected country Liberia, President Ellen Johnson Sirleaf, of the right-wing Unity Party, has ordered night time curfews and quarantine zones in the most economically deprived areas in the country, including Monrovia's West Point slum and Dolo Town, to the east of the capital. Another fall-out from the crisis that could have longer-lasting repercussions is the effect on pan-African unity for some underlying historical fractures have been re-opened. Several West African nations have sealed their borders with their neighbours in attempts avoid cross-infection. This could lead to countries leaning more towards the international capital rather than engaging in cross-national trading, getting further indebted in the process. An alternative would be to build a pan-African union based on greater self-sufficiency and less dependence upon the invasive multinationals. There are no immediate solutions to the Ebola crisis other than supporting the work of aid agencies and health care workers. Once the epidemic has declined, and hopefully the risk of pandemic does not rise, then what matters is helping the West African nations to build effective healthcare systems on a central model and free from interference from global finance. These healthcare systems need to be properly staffed, with well-supplied clinics, and free at the point-of-use. Behind this a scientific foundation is needed so that African nations can develop appropriate medicines and become less reliant upon global pharmaceutical companies. For instance the only reason why there is any treatment at all in the pipeline, Tekmira’s TKM trial drug, is that the US Department of Defense funded the work. There is little profit for big pharmaceutical corporations in a drug to treat intermittent virus outbreaks, especially in the world’s poorest countries. There is a lot more money in drugs, like Simvastatins, that people will take for decades for less serious conditions in the richer countries of the world. Even New Scientist was moved to comment on ‘market failure’. Home grown science and infrastructure would help these countries handle not just outbreaks of Ebola, but more common diseases such as malaria, cholera and HIV. To do so requires governments willing to consider central solutions and to steer economies in alternative directions from capitalism. 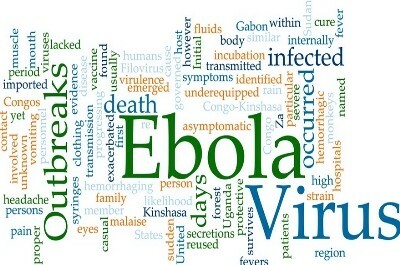 This article has attempted to place the Ebola crisis into a historical and economic context. Part of the reason for the deficiencies in containing the spread of the disease is a consequence of a failure during the post-colonial years to have built up a strong socialised health care system, and where the elements of it existed, to dismantle it; a secondary reason is the bias of major programmes to attract investors rather than developing the infrastructure necessary to build up the affected countries . Scientists need to analyse the events of the past and examine the internal and external influencing factors on post-colonial development; and then to use this inquiry as a means to help develop an alternate socio-economic trajectory. The very real risk is, with a crisis still unfolding and the death toll rising, that governments will extend their hands further out to the multinationals and international capital will increase its hold on West African states even more tightly than before.